The Army Director, Acquisition Career Management (DACM) has the announced the offering of NPS-MSPM Program, class 836-161. The announcement opens Feb. 3 and closes March 17. This distance learning program is the premier Army DACM Office-funded master’s degree program, and offers an opportunity to earn an MS in program management on a part-time basis within a two-year timeframe. The Army Deputy DACM (DDACM) Office sponsors the NPS-MSPM Program and will fund the tuition and book costs. 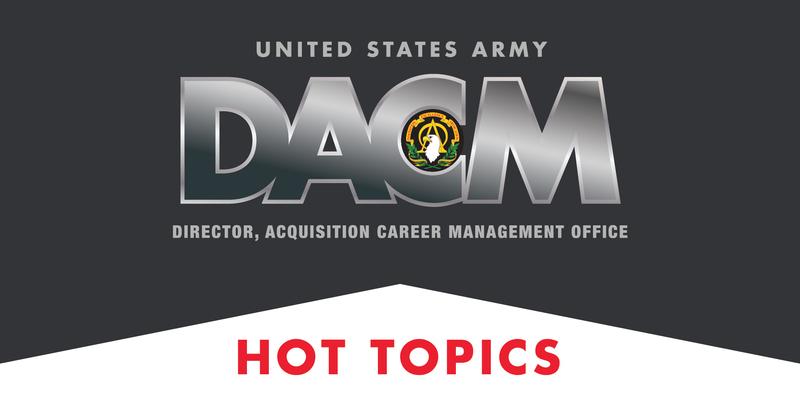 Please note: The Army DDACM Office will not fund second master’s degrees for any workforce member who already holds a master’s degree in a business and/or acquisition related discipline. For more information, go to the USAASC NPS-MSPM programs page. 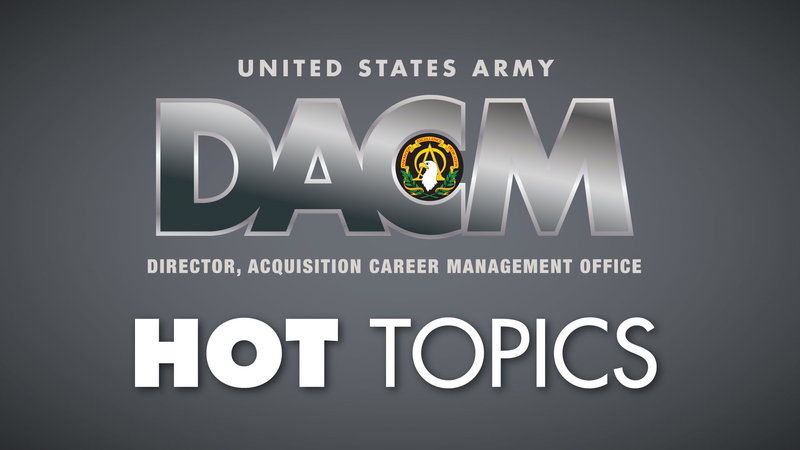 The DACM Office is responsible for submitting the Army‘s DAU training demand, and part of that task is soliciting commands and program executive offices to host DAU on sites in FY16. 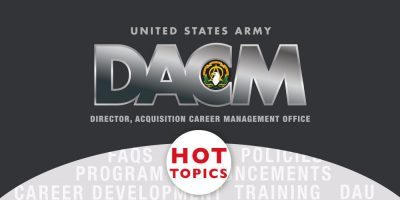 Army DAU onsites are classes hosted by a command or organization with the goal of bringing required DAU training to students to save on travel costs. They are ideal for facilities at considerable distances from DAU main or satellite campuses. Army onsites will be included in the Army’s consolidated seat demand to DAU. Once finalized, the FY16 schedule will be available for student registration in ATRRS AITAS on Thursday, May 14, 2015.